Arguably, the advancement of technology in golf clubs has been no more evident than in game improvement irons. In contrast to players irons, which typically are forged from a single piece of steel, game improvement irons are cast so manufacturers can pack in the technology. In 2018, game improvement irons design repositioned weight to the perimeter and lower in the club head to further reduce variances in ball speeds between off-center strikes and shots that impact the sweet spot. 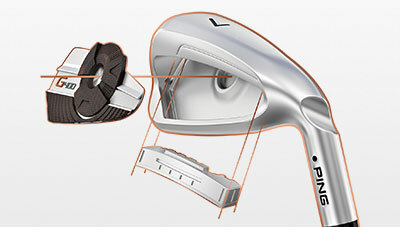 From filling hollow club head cavities with foam to selecting higher strength steel alloys that thin out the face and produce a greater trampoline effect, as well as creating game improvement irons that boost forgiveness while mimicking a manufacturer’s players irons, companies are employing all sorts of techniques to accomplish this goal. An interesting development has been the advent of the players distance category. This category is blurring the lines between players and game improvement irons. A lot of clubs on the market look like a players iron, but feature many of the forgiveness and technology-laden characteristics designed into game improvement irons. Game improvement irons have seen an expanded range of usage by players due to the recent blending of these categories. 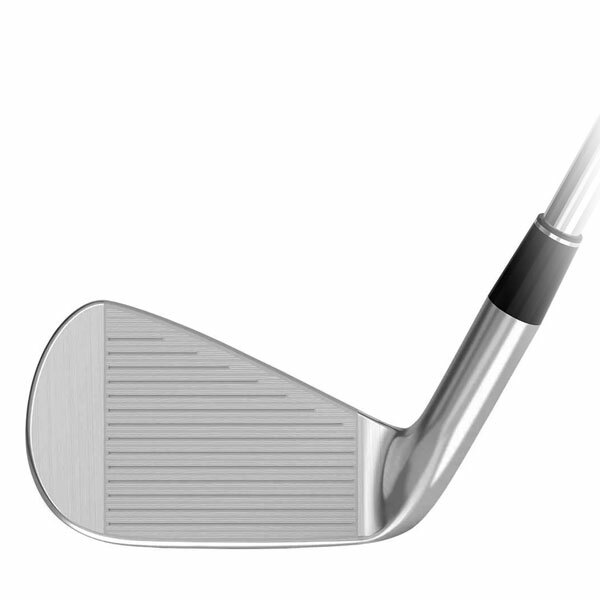 A more skilled player could elect to include a game improvement iron or two on the low end of their iron set, transitioning into players irons in the scoring irons, while the novice or improving player may put a full set of game improvement irons in their bag for added forgiveness and increased consistency throughout all their irons. In general, the stock shaft for game improvement irons tend to have characteristics that promote a higher ball flight and are typically lighter in weight as well. Though, if you’re a strong player with a higher swing speed, most manufacturers will have a no-upcharge option to fit your swing characteristic, too. Another benefit to game improvement irons is the cost, oftentimes game improvement irons are more economical than their players irons. I should note, while that may be the general trend, as manufacturers spend more time on research and development for game improvement irons, some sets will carry a premium cost. Straight out of the gate, a club that rivals the category of players distance iron is the Cobra F8 irons. When I first had the opportunity to test these at a demo day I was blown away by the distance and the feel. Cobra’s forged PWRSHELL technology face pairs with a carbon fiber medallion for smooth feel and fast ball speeds. The progressive set features hollow body construction in the long and mid irons and a cavity back design in the scoring irons. PWRSHELL Technology is a thinner face that produces maximum flex across the entire face. The carbon fiber badge reduces vibrations while enhancing feel and sound. The hollow head design promotes weight being moved to the perimeter but more importantly it lowers the CG. Cobra also shortened the hosels in order to free up some weight to redistribute lower in the club head. Of all the game improvement irons, visually the F8 irons are one of my favorite! I thought the carbon fiber badge balanced nicely with the chrome, giving it a sophisticated look. The CNC milled grooves produced a wonderful consistent shot shape. Don’t be fooled by the appearance, these irons are long! The last feature to these irons that makes them a top pick for the game improvement irons category is the inclusion of Cobra Connect powered by Arccos. It’s important for all players to track stats on their game, but the value of the data for an improving player or a player just beginning is incredible. To give players a full season’s worth of data on the house that helps players better understand how far their actual distances are will give them a big leg up in making proper club. As to be expected there was a little bit of a click it impact, but it wasn’t egregious and in no way detracted from the feel. They look good, they feel good, they go a long way. 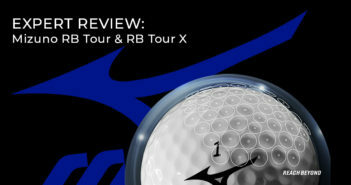 There is a lot to like about the Cobra F8 Irons. While most manufacturers are looking to build game improvement irons around distance and increase ball-speeds through larger club head sizes and ultra-thin faces, one company took a radically different path. In my opinion, Srixon’s Z 585 irons are the most complete package for the game improvement category in 2018. So, where do you start if you’re a mid-teens or even a high single-digit handicap players who doesn’t need help with distance? You want a compact club, but also some forgiveness to neutralize your swing inconsistencies. Look no further than the Srixon Z 585 irons. 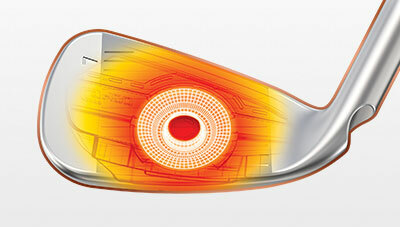 The Z 585 irons are designed using many of the same features as the players Z 785 irons and maintain a consistent feel. Many players find some blend of the Z 585 and 785 irons together is right for their game. Most commonly, the more forgiving 585 irons will be used in the long irons and the fully forged Z 785 in the scoring irons. 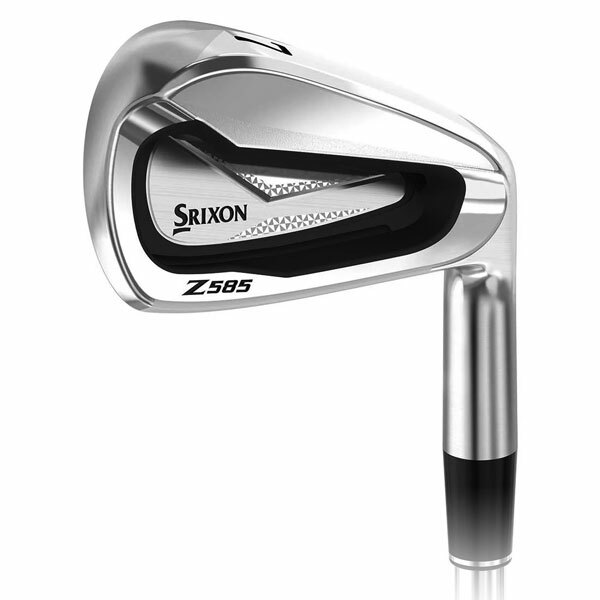 Srixon paired a SUP10 maraging steel face insert with a forged 1020 carbon steel body on the Z 585 irons. Using the softer alloy to forge the body reduces vibrations and gives this game improvement iron a feel of a players iron. Other premium design features include a laser milled face, the forgiveness-oriented Speed Groove that sits behind the face to allow for greater face-flex at impact and the same Tour V.T. sole that the Z 785 has. This is a premium option for players who need some forgiveness in their irons, but demand the sophisticated feel of forged irons. 2018 was a year that saw quite a few golf clubs filled with foam. And, while PXG may throw their arms up in the air and shout, “You’re all copying us!”, foam-filled irons are hardly a new innovation. As early as 1993, TaylorMade had produced a set of irons (Burner Midsize) that were filled with foam. Variations of proprietary foam composites were found in a wide range of clubs this year. Clubs like the hybrid driving-iron GAPR, the P790 players distance irons and UDI driving iron, the PXG Gen 2 irons as well as the game improvement Callaway Rogue irons all had some form of fill in the hollow cavity. The reason manufacturers use foam is two-fold. The first objective is to thin the face right up to the legal limit for thickness and COR. The second objective is to improve both sound and feel. The thinner face produces greater vibrations, so the foam assists in dampening vibration and reducing any hollow click sound at impact. 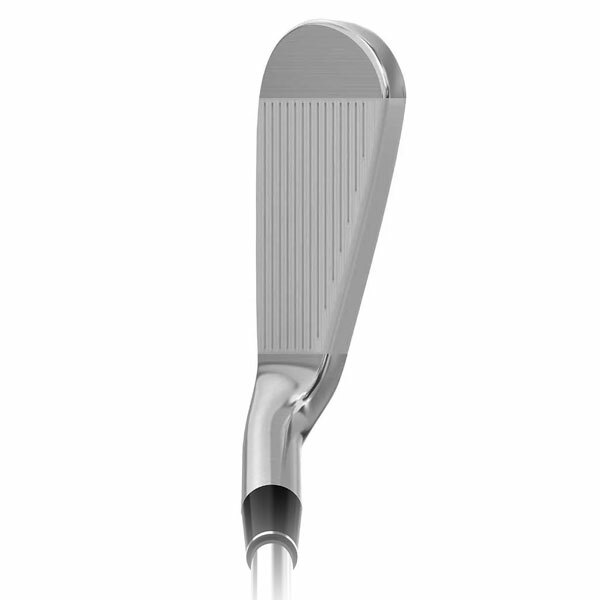 Callaway’s proprietary Urethane Microspheres fill the hollow-head of the Rogue irons. To make room for the foam fill the Rouge irons have a confidence-inspiring shape with a thicker top line and generous hitting area. Considering the Rogue irons are a hollow game improvement iron, the microspheres do a good job smoothing the feel and reducing the clicky sound at impact. I found it a cinch to elevate the ball and much to my surprise they even have a decent amount of workability. The Callaway Rogue irons (including the Rogue X) are probably the most popular set of game improvement irons of the year in terms of total sales, and based off of their performance during my testing it’s not a wonder why. Prior to passing the testing torch over to me, Bob Gomavitz produced a review on the G400 series of clubs. The G400 irons were one of his favorites, if not his outright favorite game improvement iron of the year. Similar to the other game improvement irons, the g400 irons are built for distance. In terms of technology, Bob mentioned that the G400 irons are a lot like the Ping G irons that preceded them, but had a few design features that improved the feel and sound. 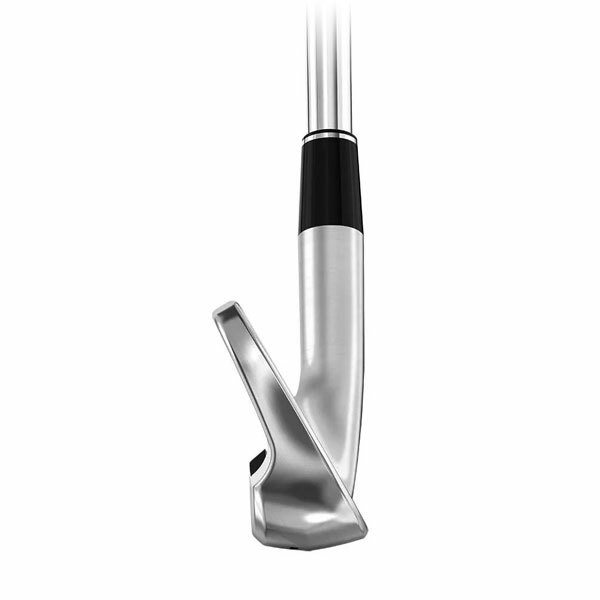 PING’s Top Rail Cavity is a unique top rail design combines with COR-Eye Technology to increase flexing, ball speed and height. The co-molded 3-piece cavity badge helps provide a powerful sound and feel. 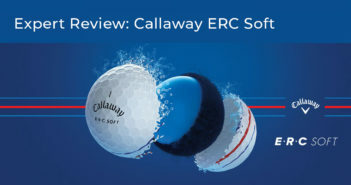 He wrote that the Core-Eye technology dramatically increases ball speeds and height, assisting players in stopping the ball on greens quicker. Most of the other features are designed to improve consistency. The hydrochrome finish normalizes spin in wet conditions, reducing the chance for a flier or chunked shot, and the top rail cavity increases face flex to increase ball speeds and forgiveness across the entire face. Bob has been in this business for a long time, so if he says something is his number one recommendation, it’s wise we all listen to his sage advice.